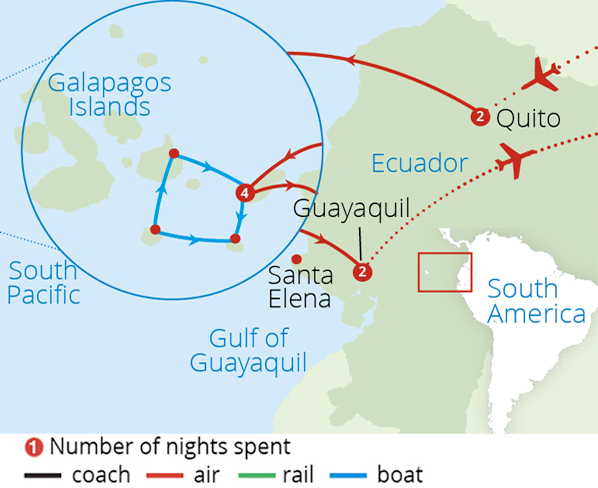 Ecuador, a fascinating country in its own right, is known as the gateway to the Galapagos Islands, a chain of islands celebrated for their endemic flora and fauna and famed as being the inspiration of Darwin's theories on evolution. Mainland Ecuador, small in size relative to some of its neighbours, still packs a punch in terms of diversity. The colonial capital Quito, high up in the Andes, is full of Spanish charm while colourful Guayaquil acts as an entrance to the beaches of the Pacific Ocean. 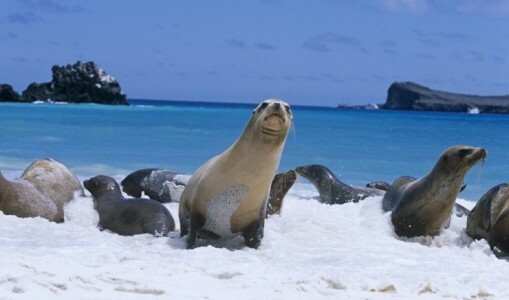 The main attraction of an Ecuador tour, however, must be the opportunity to visit the incredible Galapagos Islands. Home to tortoises and iguanas, sea lions and more birds than you could believe these islands are an animal lovers paradise quite unlike anywhere else on the planet.